ICE Condominiums – Bousfields Inc.
Bousfields was retained by Lanterra Development to provide planning and urban design advice for two mixed-use towers at the foot of York Street in downtown Toronto. 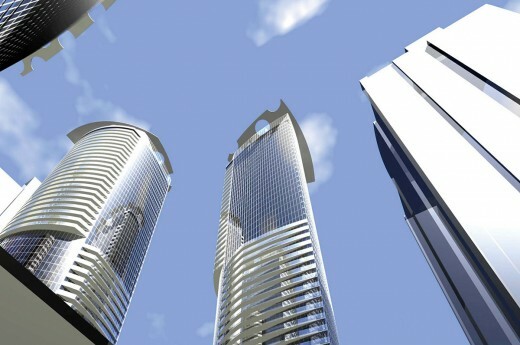 As the residential component of York Centre, ICE Condos consists of two contemporarily designed 57- and 67-storey towers. The buildings will have 1,343 residential units when complete. The project will offer grade related retail uses at the podium levels of each building, a landscaped public square, an extension of the PATH network by directly connecting to Maple Leaf Square. Bousfields was responsible for preparing the Planning and Urban Design Rationale and the Community Services and Facilities study, as well as providing project management to relating to the applications for amendments to the Official Plan and Zoning By-law. Tony Volpentesta provided evidence at the Ontario Municipal Board in support of the redevelopment. The project was approved by the Ontario Municipal Board and the project is currently under construction.